This site exists to help you obtain an Kuwaiti Legalisation for Sick note (from a doctor) as quickly and as easily as possible. Require a Kuwaiti attestation of a Sick note (from a doctor) ? We can legalise a Sick note (from a doctor) for use in Kuwait. It is necessary for Sick note (from a doctor) to be legalised by Kuwait apostille for work, business, personal issues or for a legal requirement. The Apostille Certificate is normally requested by kuwaiti authorities and organisations so that the Sick note (from a doctor) can be used for official purposes in Kuwait. It is also referred to as legalisation. Kuwait will usually require the Sick note (from a doctor) that have been issued in the UK to be attested before they can be used in the Kuwait. This is a 2 step process which requires the addition of an UK Apostille Stamp, and then a consular attestation of a Kuwait Apostille Stamp. The most common documents that require a Kuwaiti legalisation are Birth, Marriage & Death certificates, Educational Qualifications, and Company Registration documents. 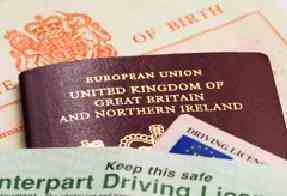 This means that the documents have to be legalised correctly before you travel and often within a specific time period. A Kuwaiti Apostille certificate can be obtained for any UK public document. The following list is by no means exhaustive, we have simply selected the most popular documents we receive. Please feel free to contact us to check if the document you want to use overseas can be issued with a Kuwaiti Apostille certificate.